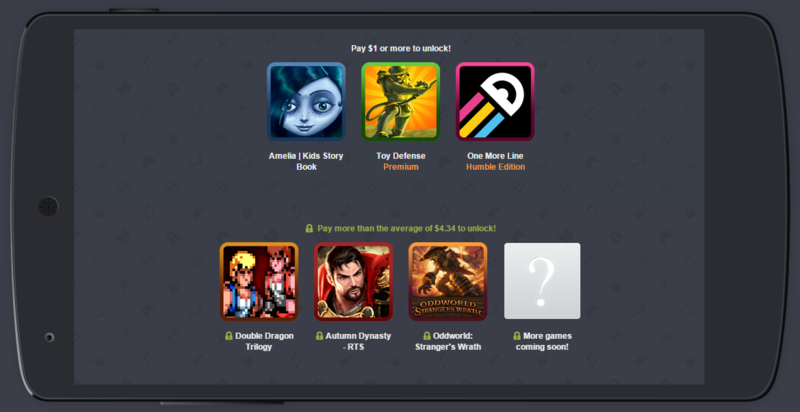 There are two tiers in the Humble Mobile Bundle 14. Pay more than $1 and you get Amelia, Toy Defense, and One More Line. Pay above the average at the time of purchase, and you add Double Dragon Trilogy, Autumn Dynasty, and Oddworld: Stranger's Wrath. The games are all free of ads, in-app purchases, and DRM. The bundle will be available for two weeks, with the additional games added sometime next week. You need to be in the higher tier to get the new games when they're added next week.